Im 100% new here on the forum. 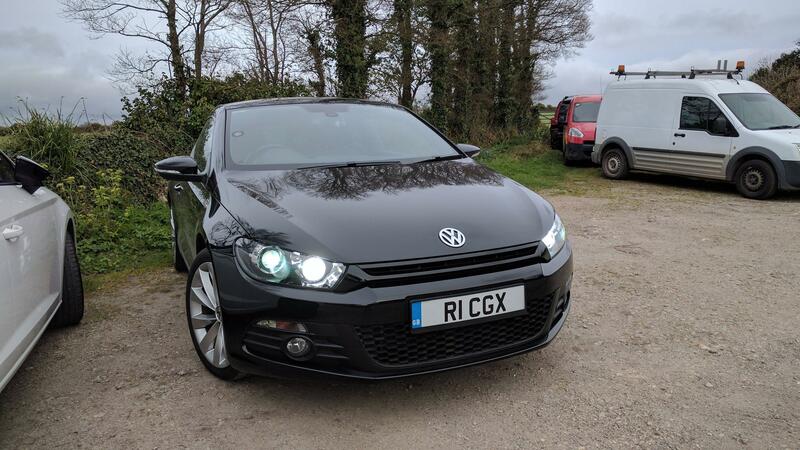 Had a scirocco 2.0tfsi once, but baught myself a scirocco R yesterday, and love it! But there is one thing that i so truly madly deeply wanna make possible, and that is to code in so that the orange light in the headlamps stays on all the time. with DRL and 60% orange bulb light on, it will give u the look '' i will kill u '' if i am behind someone. I know it was possible to code so the turn light on normal sciroccos stays on, but ordinary sciroccos have it in the led bar. Have looked for this but it isn't in the longcoding helper anymore after MY10. It might be possible but haven't seen in yet with vcds coding. Yea, ive tried everything so far aswell. Vagcom wont show it, and OBDeleven shows it, but when i activate it nothing happens. So i guess it is impossible with coding, i think u need to physicaly do something with the module. And that is sad, because making those turn signals stay on, would make the front look so badass. Bump, no one got a clue if it is possible or not with the vcds? Use VAGCOM and go into controller 9 (dashboardcomputer) and into longcoding helper. The only major BUT is that you would require indicators somewhere else, as it simply can't be a DRL and an indicator at the same time. Further to the above, just been out there tonight testing various things, I've managed to get the DRL in the headlight to stay on at all times, even when main beam is on. Coding was in a hidden bit under byte 2 in the central conv module (09), I manually changed bit 5 to 1 in the manual coding above. My module may be different as none of the guides seem to match up for mine, it ends in 049-E but I've attached a picture so you should be able to find what I'm talking about. This sounds like what you want to achieve, unsure of the outcome on the R but should be similar, however as said above, what are you gonna do about indicators seeing as with this coding they would be always on? Edit: just actually watched the video in your post, this does sound like exactly what you need, in the video it looks like he's installed some third party DRL/indicator unit (Dectane or similar) in the grilles so that would be your solution. Thank you for response, it looks awesome. 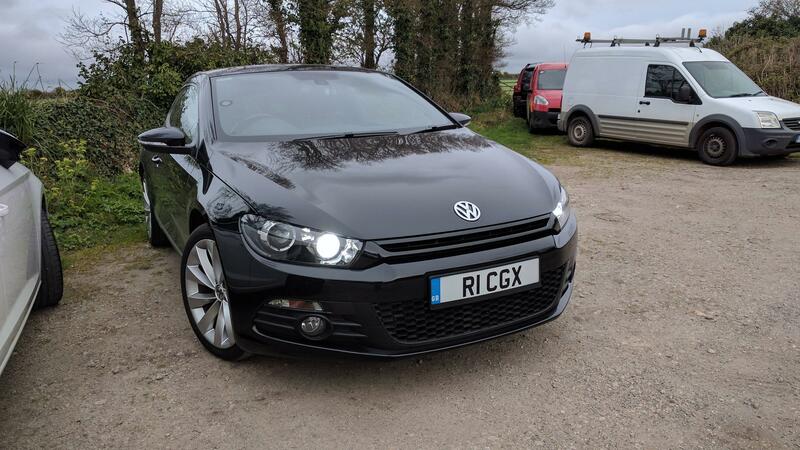 But that is a non Scirocco R modell as i can see, and i think the modules is different on Scirocco R.
Cjaay90 wrote: Thank you for response, it looks awesome. Bytes and bits may be in a slightly different place because of mine being a MY09 but the functionality should still exist, people 'convert' their cars to R models all the time. Central convenience module will be very similar if not identical to an equivalent year GT model. So you think that if i do as u are saying, the turn signal in the headlight will stay on all the time? Guess i cant adjust the % on the bulb tho? Cjaay90 wrote: So you think that if i do as u are saying, the turn signal in the headlight will stay on all the time? Guess i cant adjust the % on the bulb tho? Yes absolutely. And yes you can, haven't got the exact byte but it's in that same module towards the end, I fiddled about with that quite extensively to try and figure out how it worked. 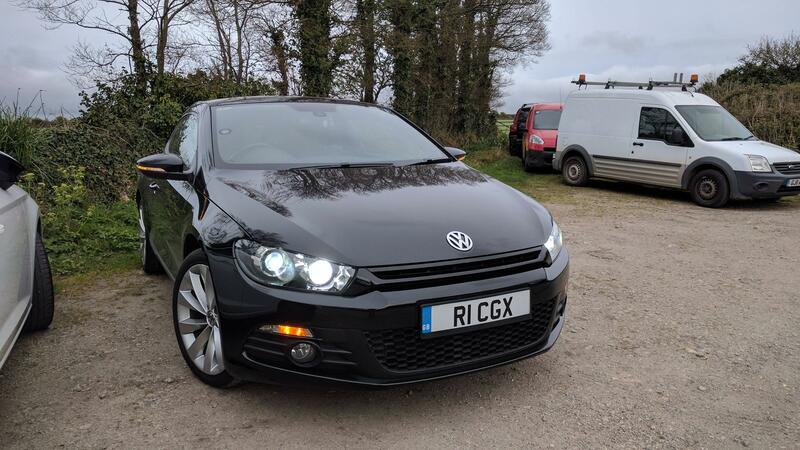 Please see pictures below, this seems exactly what you're looking for, however, imagine that the DRL bulb is orange, the only difference between mine below and what you want is a different colour bulb, mine is just a white LED whereas yours as stock on the R will be orange, the headlight unit itself is the same. I am struggling to figure out how to test and change bits. Mine looks alot different. Any suggestions? Here is where i think there may be a possibility to do something, but i dont understand so much. The problem is, on R's they use different headlights. Their DRL are where the indicators are on a non R.
Yes indeed the sidelight/indicator units are different/DRL only on the R, hence why I questioned what he's going to do about the indicators, obviously these would need to be changed to a 3rd party DRL/indicator unit like dectanes and then coded in to work as an indicator, it's all easily done though. Last edited by charliegilmanuk on Sun Apr 16, 2017 8:09 pm, edited 1 time in total. Cjaay90 wrote: Here is where i think there may be a possibility to do something, but i dont understand so much. You've found the dimming yep, that's the bit I was talking about, 100% is 100% brightness, change as appropriate. Seems your byte 2 is different, find an option that lists 'Coming home mode' and take a picture of that byte, we'll see where we can go from there. But I believe if you disconnect your indicator in the lower grill you will have a bulb warning light. Here is the coming home byte. I've tried everything that is possible i think with vagcom, but there is no way the module accept. xjay1337 wrote: I understand what you're saying. Haven't actually tested it but I can imagine you're right there, I've found a kufatec adapter to change non R sidelights into R DRLs (with the actual DRL unit of course) but whether the reverse is possible I'm not sure. I would imagine it would be a case of changing some pins in the dashboard module and then a bit of coding of course. This effectively changes either bit 1 or bit 3, but really I'm just guessing, try find a byte that has some sidelight or DRL stuff which has gaps in the bytes, and remember the binary is written back to front, bit 0 is at the end of the string. I fiddled around with it until something happened. 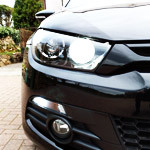 Spent ages to try and get all my dipped beam, sidelights and DRL on at the same but no joy. Just make sure you've got a backup of your original coding, I would only change one at a time, test, and revert if no result, repeat. Another discovery this evening, see below. This was done after I put everything back to default coding. Default was 0, changing it to 100 (or in between) makes it so the indicators are always on and yet still flash as normal when indicating. Not sure on the legality of this but it sounds like what you're after. As you can see it's in byte 7 on mine but I imagine you'll be able to find it somewhere in your newer module. 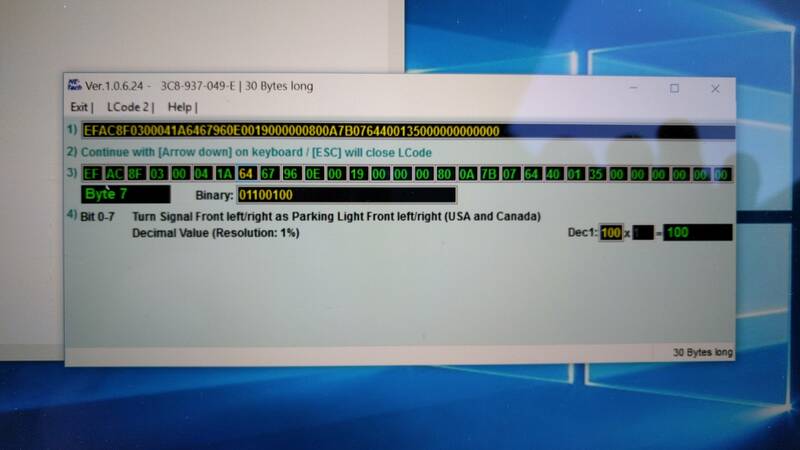 Yes that is the "US Spec" running lights done on many Mk5s. Around 20-30% is fine. Higher than that and it's distracting to other people.